When you enter retirement, all of your goal setting, retirement planning and continual monitoring starts to pay off. You’ve done the heavy lifting and this is the time for your accumulated assets to sustain your lifestyle with an ongoing stream of income. Throughout retirement, Advance Capital Management will help you use your investment portfolio as a source of income. Your initial withdrawal rate is based on a predetermined percentage from each of your accounts, which was established with you during the financial planning phase, but will remain flexible to adjust for life or market events. Most people also receive income from additional sources such as Social Security or a pension. You may even have income from a business you’ve launched. We’ll manage your retirement income and continue to focus on the big picture of your finances to help ensure that you’re withdrawing at a rate that will sustain you for the remainder of your life. 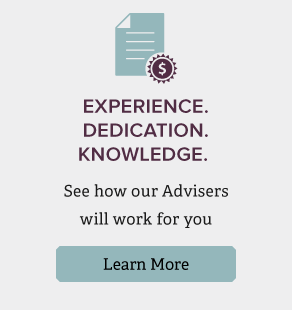 Advance Capital Management is guarding your finances closely and making sure that adjustments are made whenever necessary to help maintain the long-term health of your retirement accounts. Now is the time to live your dreams. The retirement life you’ve been planning has finally arrived. You can count on us to be with you every step of the way, monitoring and managing your financial life and helping you stay on track with your retirement goals.